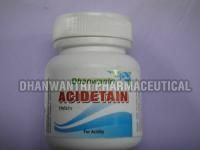 We make available different types of Anti Acidity Tablets such as Acidetain Tablets and many more. 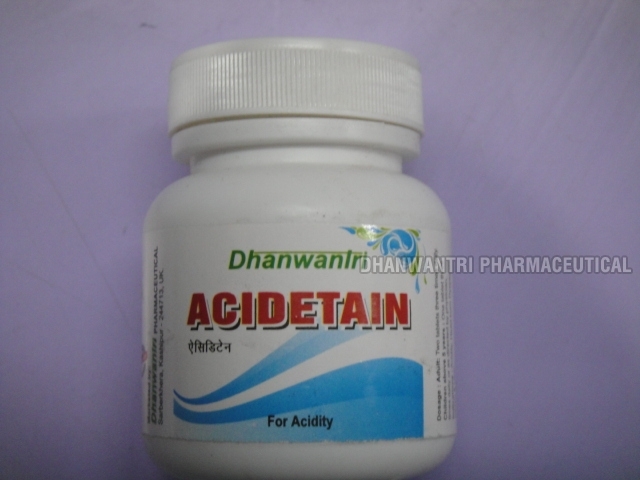 We share glorious credentials in the list of top Manufacturers and Suppliers of Anti Acidity Tablets. We formulate Anti Acidity Tablets using high-grade chemical compounds at our hygienic manufacturing unit. Apart from this, we have the capability to deliver retail as well as bulk orders for Anti Acidity Tablets within the stipulated time frame.